Michael Bush is a queen bee producer living in Nebraska who has for many years answered countless postings on internet forums BeeSource and BeeMaster, as well as the Organic Beekeepers mailing list. 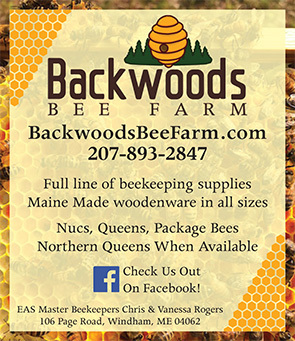 His web site (bushfarms.com) contains a cornucopia of information about bees and how to work them. And as Bush makes very clear, most of the book’s content can actually be found on his website. Bush is an advocate of what he calls “Lazy Beekeeping.” By Lazy Beekeeping he means finding ways to work with bees to keep them healthy and productive with a minimum of input on his part. As an example, Bush favors upper entrances for his hives. With upper entrances, Bush doesn’t need to mow his bee yards, worry that pests (like skunks) are taking advantage of a lower entrance, nor be concerned that his bees are snowed-in in wintertime. Bush favors keeping bees on small-cell foundation and using 8-frame mediums for his brood chambers and honey supers. He avoids the use of agricultural chemicals for dealing with both mites and diseases, believing that bees not capable of surviving on their own are best removed from the gene pool. The book is divided into three volumes, targeted by topic and perceived beekeeper skill into Beginning, Intermediate and Advanced sections. Each of the volumes is available as a separate paperback. The Beginning section reads much like an outline for a Bee School. That is a bee school taught from the vantage point of using small-cell comb to control Varroa mites and relying on genetic selection and “survivor” type bees to handle disease issues. Basics such as the lifecycle of a bee, the yearly cycle of a colony, products of the hive, what to do to encourage healthy bees, equipment choices, ecology of beekeeping, installation of packages, enemies of bees, and queen spotting are covered. The book also looks at common beekeeping myths and provides answers to Frequently Asked Questions (FAQ) of new beekeepers. If you are a devotee of small-cell and/or organic beekeeping, or are curious about what the small-cell crowd is saying, then the book is a good read and full of lots of useful information. Bush’s writing is straight-forward — he writes based on his 35+ years of keeping and working bees as well as his research in beekeeping. Scattered throughout the book are quotations from well known beekeepers such as Richard Taylor, which makes Bush’s work seem more like an extension of their writings than anything else. The Intermediate and Advanced sections are shorter in length than the Beginning section and dive deeper into issues confronting beekeepers. Some of the issues are philosophic in nature (discussions of “natural” and small-cell comb), while others are more practical (queen rearing, and what nucs can be used for). The book can be cumbersome if you are looking for an exhaustive discussion of a topic in one place. Many beginning beekeepers will have no need to yet contemplate the in-depth discussions in Intermediate and Advanced sections, and for them the stand-alone paperback version of Volume I will be appropriate. I have found the book ideal for browsing to get ideas on how to handle various issues before going to the bee yard. As an example, the night before I did a newspaper combine of a swarm and a queenless colony, I spent some time with the book and came up with a process for accomplishing what needed to be done. My general impression of the book is that it is a worthy addition to your beekeeping library. If you are not a devote of small-cell and organic beekeeping, you’ll want to skip over those sections to get to the wisdom found in Bush’s long beekeeping career. But a bit of skipping is a small price to pay for the in-depth discussions on moving bees and the section on queen rearing. Then too, if you are already committed or just curious about “small cell” and the like, you don’t need to skip anything.